for $525,000 with 5 bedrooms and 4 full baths. This 3,560 square foot home was built in 1998 on a lot size of 1.069 Acre(s). The Turning Leaf is located in Timber Creek Trails, Phase 2. 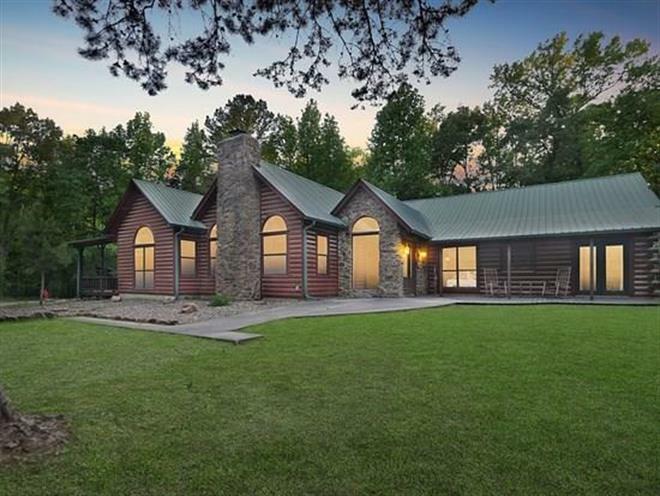 Originally a bed and breakfast, this grand, luxury cabin features a spacious interior, including 3 private master suites, 2 bunk rooms, 2 living room areas, a large kitchen, and a double car garage with game tables. This cabin is not only stunning, but it has a close proximity to all of Hochatown's attractions. Single story, game tables include ping-pong, air-hockey, and foos-ball; custom tree house in yard. © 2017 [or current year] MLSOK, Inc. All rights reserved. Certain information contained herein is derived from information which is the licensed property of, and copyrighted by, MLSOK, Inc. We do not attempt to independently verify the currency, completeness, accuracy or authenticity of the data contained herein. It may be subject to transcription and transmission errors. Accordingly, the data is provided on an “as is” “as available” basis only and may not reflect all real estate activity in the market. Last updated 4/22/2019.